When I walked into the St. James breakfast site one morning this past February, Marquette University High School’s Urban Plunge Retreat faculty members were gathered around. They were talking with George, the Gathering’s Breakfast Program Coordinator, about some of the causes of poverty in Milwaukee, such as barriers to employment, education, affordable housing, incarceration and more. All of the faculty members were contributing their own knowledge, expertise and curiosity to the conversation. You could tell right away that the group was invested, not only in the education of their students, but also in the well-being of their city. Marquette University High School students have volunteered with the Gathering 334 times since they began in 2001. The core volunteering group comes from the sophomore class, which is required to get twelve hours of community service a semester. Sophomores choose to volunteer with The Gathering’s breakfast program or other service organizations around Milwaukee. After initially volunteering, some students continue the experience, even after graduation. The students aren’t the only ones committed to service. Marquette High School faculty decided to do an urban immersion retreat this year, including visiting the service sites where students volunteer. “Everybody wanted to come and see what our students do here, to see what it is all about,” explained one faculty member. 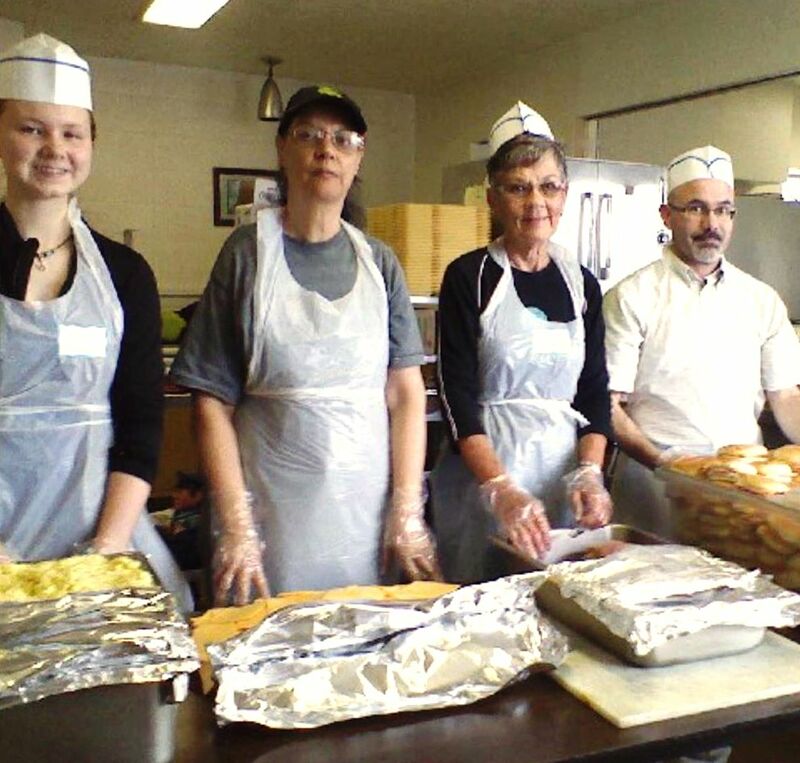 After a discussion about Milwaukee’s social issues, the group volunteered the following day to prepare, serve and clean up the Gathering’s breakfast. We are so thankful for the students who choose the Gathering as their volunteer site. We are also thankful that they have teachers, administrators, leaders and role models who not only value service, but actively participate. We hope this partnership continues for many more years.